The weather in the UK is frightful at the moment. Unless you have a heated garage (we should be so lucky) it's indoor modding from here on in. That hasn't stopped some fantastic work appearing on our forums since last month though, and yet again it was a tough choice to decide who to feature in November's edition of Mod of the Month. We've got an exquisite bunch of projects for you this time, and although they've probably missed out on being featured in this year's Mod of the Year competition which will be hitting our front page in just a few weeks (how exciting!) they're some cracking projects which could well find themselves getting some attention next year. 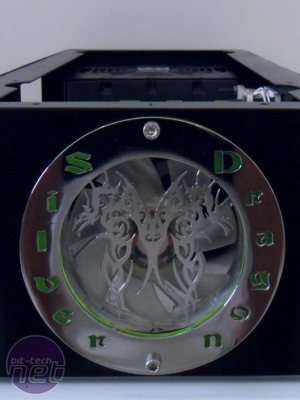 If you're new to bit-tech and modding, or haven't ventured into our forums yet, make sure you check out our modding and project log forums, and also our modding section, where you'll find guides and articles written by the makers of some of the best projects to grace our shores. We're proud to have the legendary Mnpctech sponsoring Mod of the Month. 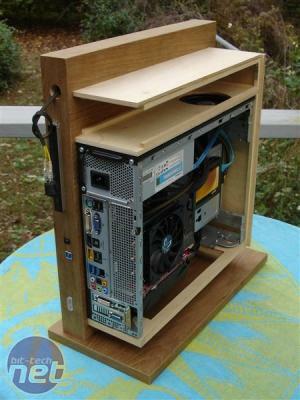 The Mnpctech team are regulars on our forums and in addition to being avid modders themselves with some awesome projects to their name, the Mnpctech online store is one place every modder should visit at least once. It's also offering its brand new modding ruler to the winner! Up for grabs for the winner of Mod of the Month from here on in is one of these awesome prizes from the Mnpctech store itself. There'll be some new and exciting products from Mnpctech on the horizon too but for now, feast your eyes on these pieces of true PC bling. Prize 1. 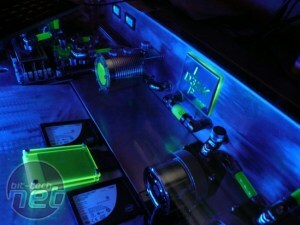 PC Modder Ruler & Gauge. 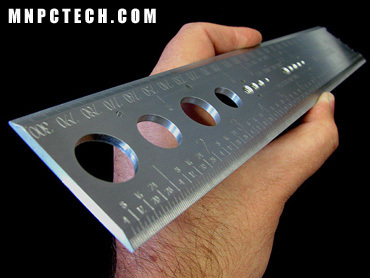 The first ruler for PC Builders and Modders. It includes inches and millimeters. Built-in computer screw gauge to determine exact thread size. 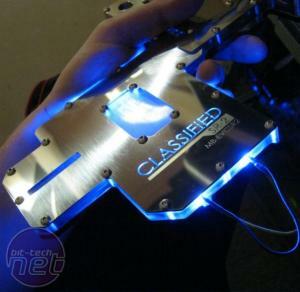 The templates save time when determining screw hole locations for internal and external drives. It includes diameters for Vandal switches and water cool barbs and hoses. 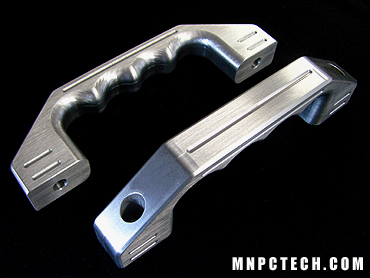 CNC milled from 1/8″ thick 6061 billet aluminum for use in the demanding environments. 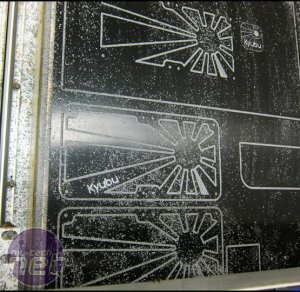 All of calibrations are cnc engraved to withstand extensive wear. Prize 2. 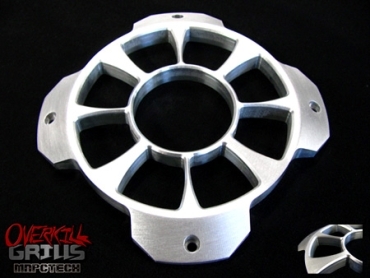 120mm Overkill "Nautilus" Billet Fan Grill. CNC machined from 1/2" thick 6061 aluminum. Thanks to Mnpctech for stumping up such fantastic prizes again this month. Last month we had six new projects going head to head and each one has the potential to become a classic project in its own right. In first place last month, T.R.O.N [V4] by andy_mcp1, followed closely by BETA by Gtek and Monster2 by PabloFunky in third place. Back to this month and November has seen plenty of new projects hit our forums as well as some great work continuing on current ones. We've got six of the best for you again though - don't forget to vote for your favourite. Vote for your favourite project out of these six new mods and scratch-builds. 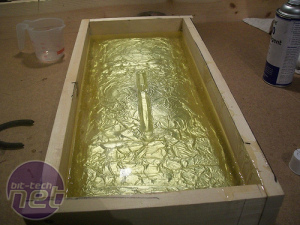 Alex Ftoulis, aka AnG3L on our forums, has been busy this year and this is his second big project.